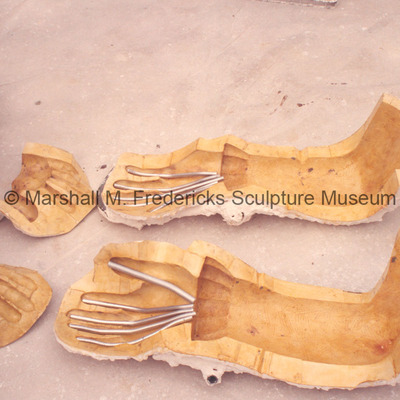 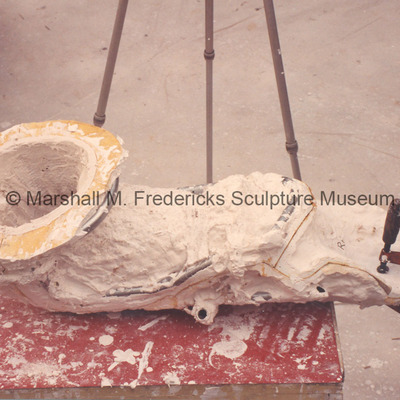 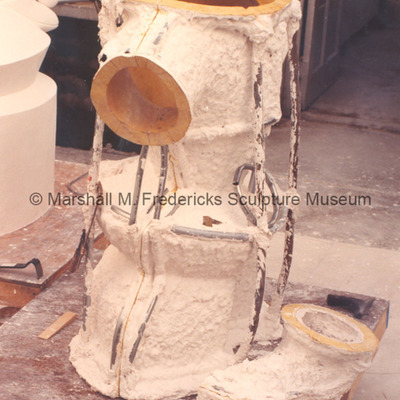 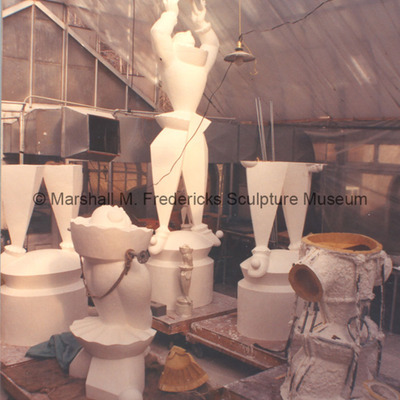 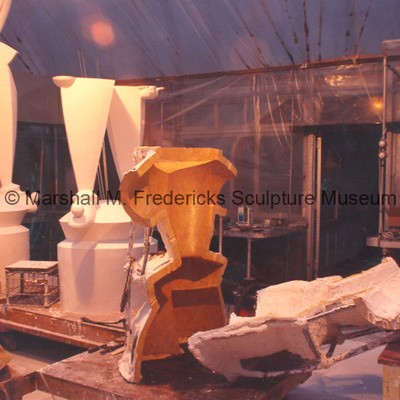 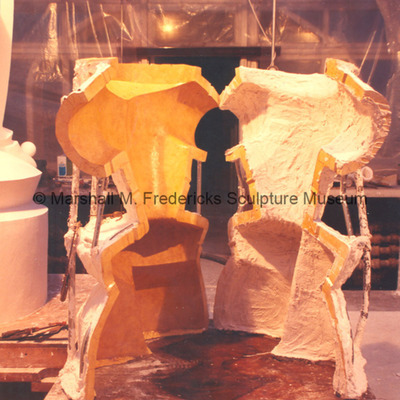 The plaster mold for "Juggler” – one of the “Clowns” in Marshall Fredericks’ greenhouse studio. 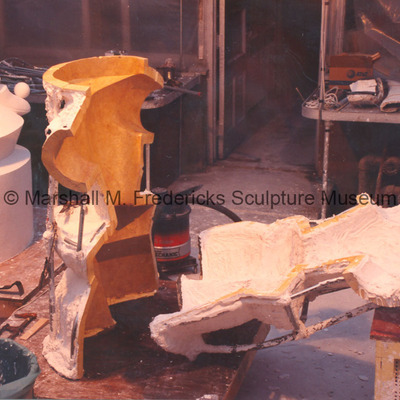 Plaster models and molds for the “Clowns” - includes: "Acrobat", "Juggler" and "Lovesick Clown (Pagliacci)". 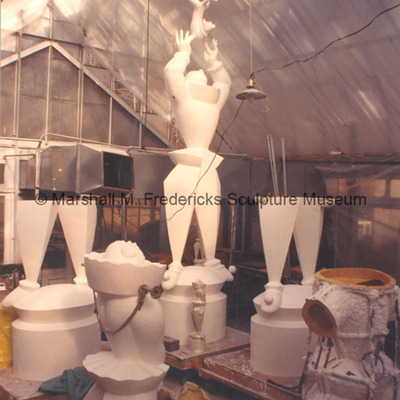 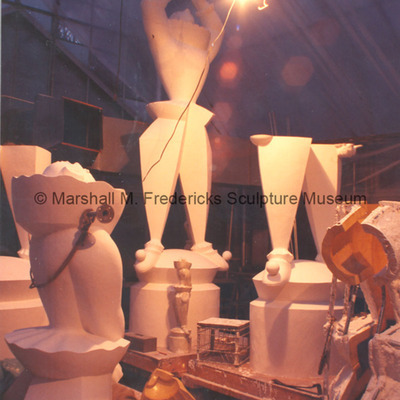 Fredericks' greenhouse studio filled with the plaster models for the "Clowns"
Plaster models for the “Clowns” - includes: "Acrobat", "Juggler" and "Lovesick Clown (Pagliacci)". 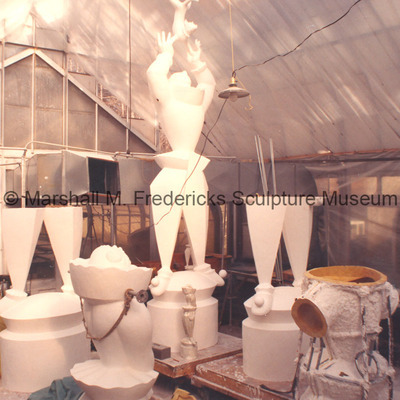 View of greenhouse studio with plaster models for the "Clowns"
Full-scale plaster models for the “Clowns” - includes: "Acrobat", "Juggler" and "Lovesick Clown (Pagliacci)".